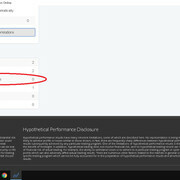 It seems that duplicate strategies are not rejected by the current version of EA Studio, for example I have 2 strategies with same rules, just different indicator values, but they're not rejected on the collection tab, instead they're detected as correlated strategies, while the balance line is clearly not correlated. Would you please check them? You have to enable the option for detecting strategies with similar trading rules in Tools -> Settings. When you do it, the Collection will detect the correlation. Hi Popov, please see the record stat, the rejected strategies goes to resolved correlation stat instead of rejected duplicate strategies stat. Yes, it is correct. Duplicate strategies counter is increment only when completely equal strategies are found. Now we have "similar" strategies detected by the Correlation Analysis algorithm. Ah, I see, thank you Popov.